Program #NADR018. Recorded in Winsted, CT on August 2, 2016. The discontent in the U.S. is more than palpable. Income and wealth inequality continue to soar. The middle class is getting hammered. Fifty million are poor. Americans are disheartened about the nation’s course. According to a new Gallup poll 82% of voters believe the country is on the wrong track. Another poll from the Associated Press says one in four registered voters have hardly any confidence their vote will be counted. Both major presidential candidates have very high negatives. Many people are fed up with the choices the two major parties dish up. In the wake of the Bernie Sanders campaign and the spark it generated, there seems to be an opportunity for progressives to advance their ideas. I had only caught the second part of the Nader interview and it stopped me in my tracks. Completely changed my view of him from my irritation/opinion of him in the role of presidential spoiler. I had somewhat already backed away from that opinion, but had not dug into it. 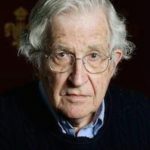 When our children’s children ask about great people that they have heard about – Ben Franklin, Thomas Paine, James Madison, and (moving ahead centuries) … we will tell them about William Buckley, Gore Vidal, Noam Chomsky, and … Ralph Nader. These are informed, objective, opinionated, iconoclastic, worldly, complicated intellects, who orate and advocate on a large stage. 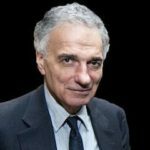 It is expected that one disagrees with some of Nader’s views, but the goodness shows through, emanating from his own idiosyncratic commitment to the welfare of mankind.